So sorry that we haven’t updated our blog in a bit. Spring is a busy time for me, between running a taxi service for my kids and teaching piano, and my brother has been busy as well with other projects as well as counting down the days to his wedding!! We have, however, been working on a few upcoming Green Orbs projects that we wanted to let you in on. Our new app “The Hams in the Deep Blue Sea” is moving closer by the minute to completion! As we speak, Larry Daley is putting the finishing touches on his awesome illustrations and we should have some news on its release in the coming month. 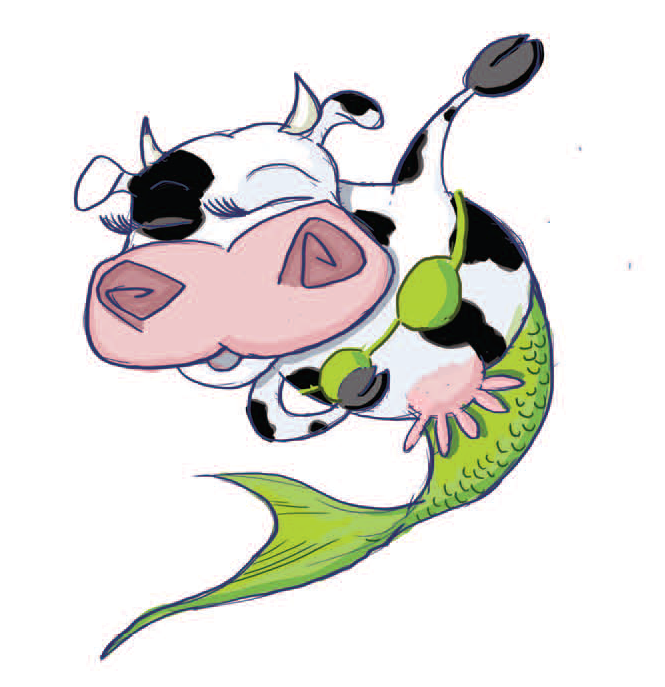 Until then, here is another sneak peak at one of the creatures that the Ham family meets in their adventures under the sea……a Moo-Maid!! Eddie and I have also been hard at work on various other projects. We are working on a cute little storybook idea that is one of those ideas that flows out of you so easily that you think you must have heard it before. I love it when those sparks of inspiration happen! We have also been working on a song that started out as a silly little ditty written by Eddie and my kids but has turned into an epic tale worthy of a broadway show. We have big plans for this song that I hope come to fruition! 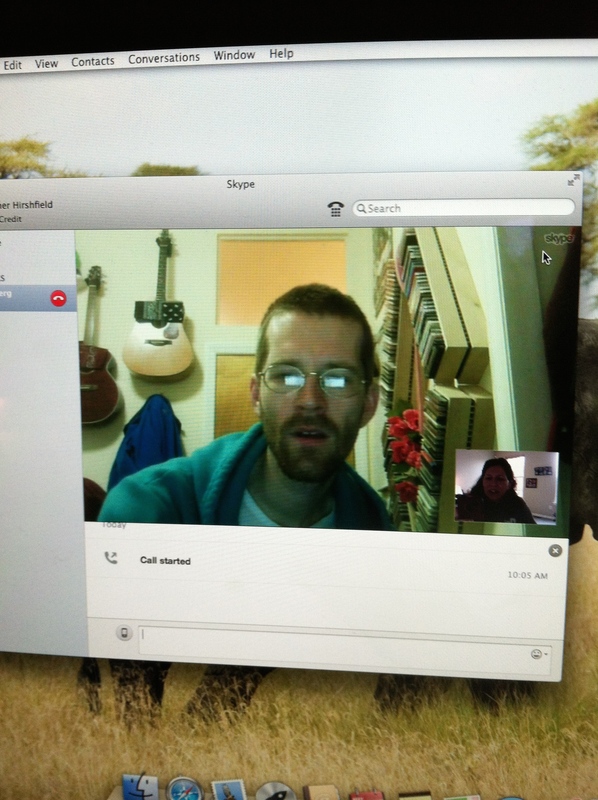 Thank goodness for Skype! I wish they gave out something like frequent flyer miles…..we would have earned trips around the world by now from all of the time Eddie and I talk on there! Here’s a pic of us hard at work on our upcoming projects. Stay tuned for updates about all of these exciting projects!